We all have a story, and getting to know your next “new to you” car should be part of YOUR story, too. 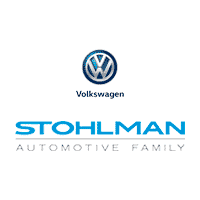 That’s why we’re sharing a Stohlman “Car Story” on every used and pre-owned vehicle we sell – so that you can get all the facts and information you need before you buy. After all, a used vehicle is like adding a new member of the family, and it’s Car Story will become the history you share. Vehicle features. From sunroofs and seat heaters to the audio and navigation systems and more. Vehicle details. Make, model and other important specifics of the vehicle. Mileage comparison. How many miles the car has been driven in comparison to similar models in the area. Ownership information. The number of other people that have owned the vehicle. Environment and energy. Fuel economy, type and average annual cost, plus the impact of the car on the environment. All the facts and figures you need to make an informed decision about your next used or pre-owned vehicle purchase! When shopping for a used or pre-owned car, you need to have all of the information possible – after all, a vehicle is an investment in your lifestyle, career and family. Car Story brings all of that info together, and might even surprise you with extras you hadn’t thought of before. Your story deserves a happy ending, and at Stohlman Automotive Family, we’re glad to give you the information to make that happen.